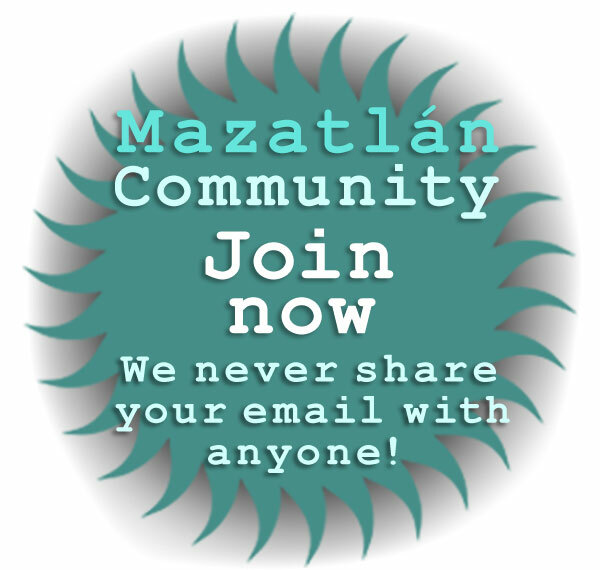 Planning a cruise to Mazatlan in 2018 or 2019? Tour our guide to cruise ship arrival schedules, port timetables, and fun passenger activities on shore excursions! Free Mazatlan cruise ship arrival schedule download for the 2018 and 2019 cruising seasons, with day tours and things for passengers to do on a shore excursion in Mazatlan! Mazatlan cruises and the best recommended shore excursions! Seven cruise ship lines offer cruise vacations to Mazatlan during the 2018-2019 cruise seasons. Major cruise lines include Carnival, Disney, Holland America, Norwegian and Princess. 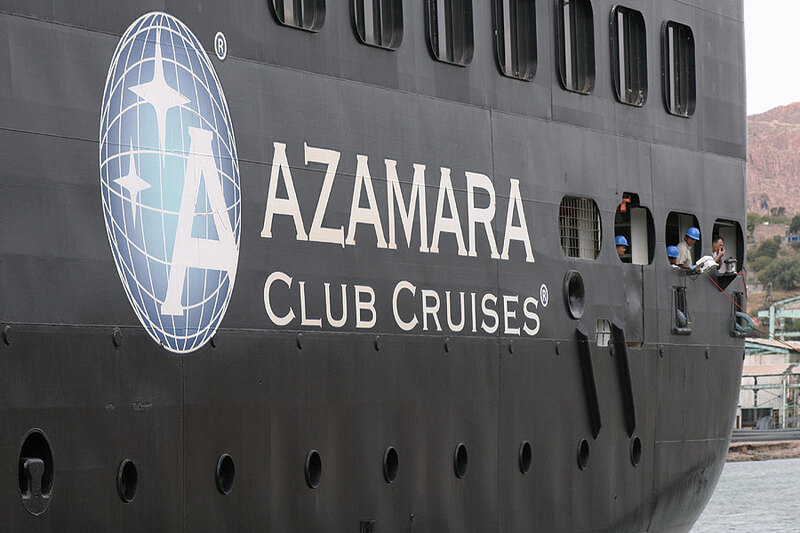 In addition to the major lines, the smaller boutique cruise line Azamara Club Cruises and the German cruise operator Phoenix Reisen offer service to the port. 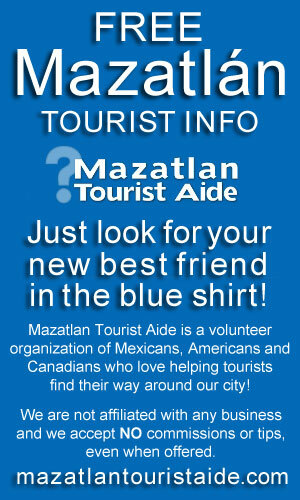 I've booked my cruise, what are the best things to do in Mazatlán on shore excursions? The major cruise lines primarily operate 1800-3000 passenger ships, the smaller lines under 1000 passengers vessels. Azamara Club Cruises has reimagined the onboard experience of Mexican Pacific coast cruising -- from bow to stern! 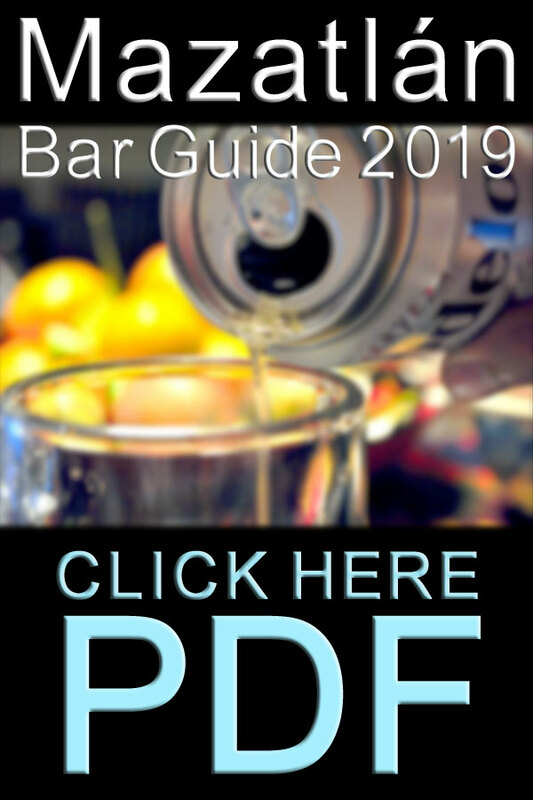 This cruise line delivers a truly boutique hotel atmosphere onboard its ships, creating a club-like setting on intimate vessels that can go places larger vessels can only dream of, like the heart of Venice or up majestic rivers like the Mississippi. Azamara specializes in longer stays and more overnights -- meaning more in-depth cultural adventures for passengers and more opportunities to enjoy the nightlife of the ports visited. 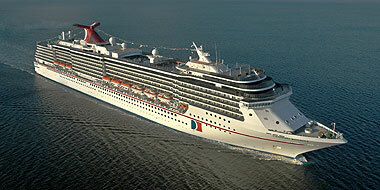 Carnival Cruise Lines has frequent 7-day cruises to Mazatlan on their beautiful Carnival Miracle and Carnival Splendor. The Carnival Miracle illustrates the luxurious cruising that Carnival is known for. 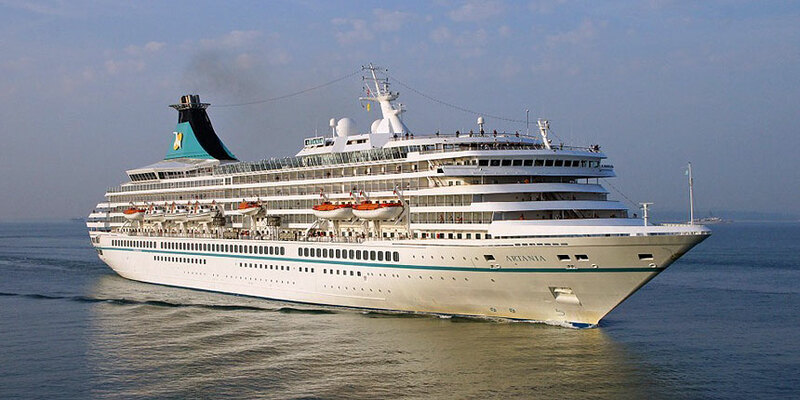 This Spirit Class cruise ship was built in 2004 and manned by a crew of over 900 serving as many as 2100 passengers. These fun seven-day Mexican Riviera cruises depart from Los Angeles, California, with stops at the ports of Cabo San Lucas, Mazatlan and Puerto Vallarta. Book a Carnival Cruise vacation cruise to Mazatlan today and enjoy the adventure of one of our many recommended shore excursions! Disney Cruise Line is one of the most important luxury cruise lines in the world. A part of the Walt Disney Corporation, Disney Cruise Line operates 4 stunning ships that pay homage to the grand era of the luxury ocean liner. Disney Cruise Line pampers pasasengers with state-of-the-art amemities, top-rated service and Disney-exclusive activities. From bow to stern, each ship is pacxked with restaurants, nightclubs, shops and recreational facilities. Holland America Cruise Line has announced a number of cruises to Mazatlan on two of their most luxurious cruise ships: the MS Westerdam and the MS Oosterdam. The MS Westerdam, pictured to the right, is a Vista Class cruise ship christened in 2004 with eleven passenger decks that accommodates over 1800 passengers and a crew of 800. The MS Westerdam returned to Mazatlan in the Fall of 2014, with a departure from Vancouver that stopped in San Diego and then on down the magnificent Pacific Coast of the Americas. The MS Oosterdam, pictured to the left, was re-fitted in 2011 and is a beautiful ship that also accommodates over 1800 cruise passengers and a crew of over 800. Book a Holland America Line vacation cruise to Mazatlan today and enjoy the adventure of one of our many recommended shore excursions! Norwegian Cruise Line has made a major commitment to Mazatlan vacation cruises, and has scheduled visits from two of their finest cruise ships: the Norwegian Sun and the Norwegian Bliss. The Norwegian Sun, pictured to the left, is a Sky Class cruise ship christened in 2001 that can accommodate nearly 2400 passengers and a crew of nearly 1,000. The Norwegian Sun first arrived in Mazatlan in the Fall of 2015 on cruises that will originatde in Vancouver, Canada, with opportunities for passengers to board in San Diego and other ports along the Pacific coast of the United States. The Norwegian Jewel, pictured to the right, is a Jewel Class cruise ship christened in 2005 that can accommodate over 2300 passengers and a crew of nearly 1,100. The Norwegian Jewel first arrived in Mazatlan in the Fall of 2014 on a cruise that originated in Vancouver, Canada with opportunities for passengers to board in Los Angeles. Book a Norwegian Cruise Line vacation cruise to Mazatlan today and enjoy the adventure of one of our many recommended shore excursions! Phoenix Reisen is a popular German cruise ship operator based in Bonn. With cruises generally marketed to German Nationals and other Europeans, Phoenix Reisen arrivals in Mazatlan bring an unusual mix of European tourists to our port. 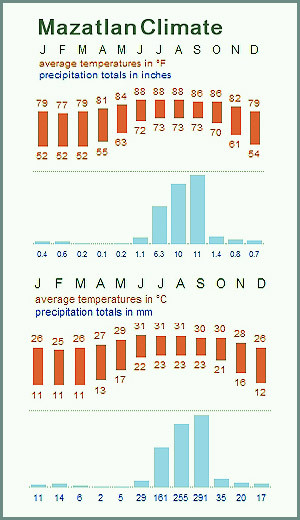 The Phoenix Reisen ships that serves Mazatlan is the MS Artania. Over 700 feet long and enovated in November 2017, this top-rated cruise ship can accommodate up to 1,200 guests -- in an all-outside cabin configuration that provides a panoramic window or private balcony for every passenger. Princess Cruises will be sailing four cruise ships to Mazatlan during the 2018-2019 cruise seasons: the Ruby Princess, Grand Princess and the Star Princess. The Grand Princess was the largest and most expensive cruise ship ever when she was christened in 1998, and was the flagship of Princess Cruise Lines until June 2013. At over 950 feet in length and sporting 17 decks, this floating city can accommodate up to 3,100 passengers and a crew of 1,100. The Ruby Princess is a very large Grand Class cruise ship -- she was the heaviest ship in the Princess fleet until the christening of the new Royal Princess that was launched in 2008. The Ruby Princess carries over 3000 passengers and 1200 crew, and boasts a whopping 19 decks. Book a Princess Cruises vacation cruise to Mazatlan today and enjoy the adventure of one of our many recommended shore excursions! The good news and the bad news for cruise ship passengers on shore excursions in Mazatlan is the same simple fact: Mazatlan is a large, diverse, complex and fascinating city -- and in a single day a cruise ship passenger can only glimpse a tiny bit of it. Mazatlan has many experienced tour companies that have created city tours and other shore excursions that are tailored to the needs and time constraints of cruise ship passengers. These tours are remarkably varied and range from island excursions and various outdoor adventures like ATV tours, banana boat rides, zip line canopy adventures, SCUBA diving, snorkeling, kayaking, parasailing, to private tours of Mazatlan and surrounding Rural Sinaloa communities. 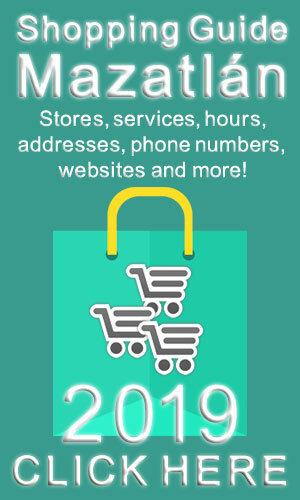 Listings of our major tour companies can be accessed by clicking here. But Mazatlan is a very accessible city for cruise ship passengers, and you don't necessarily need a tour guide to have a great shore break in it! 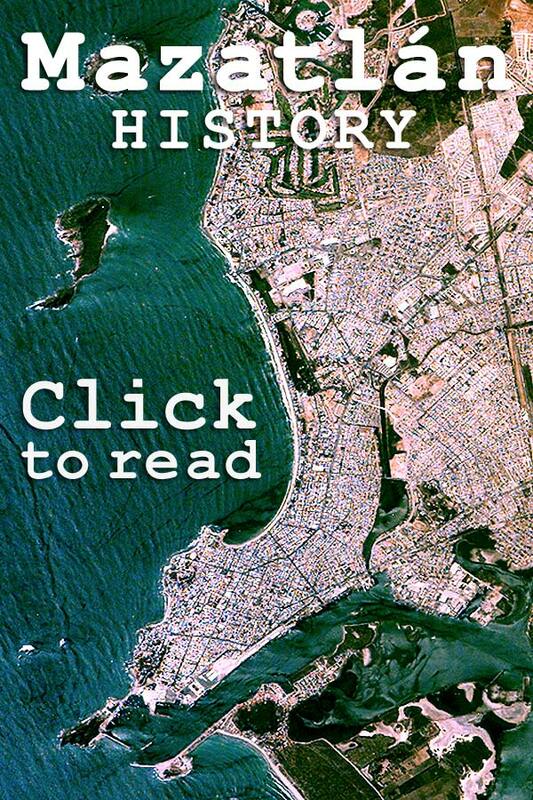 We offer a few ideas about how to spend the day in Mazatlan -- and most of them are free! Simply spending your day ashore in the Centro Historico is arguably one of the best shore excursions in Mazatlan -- and you don't need a tour guide to experience it! 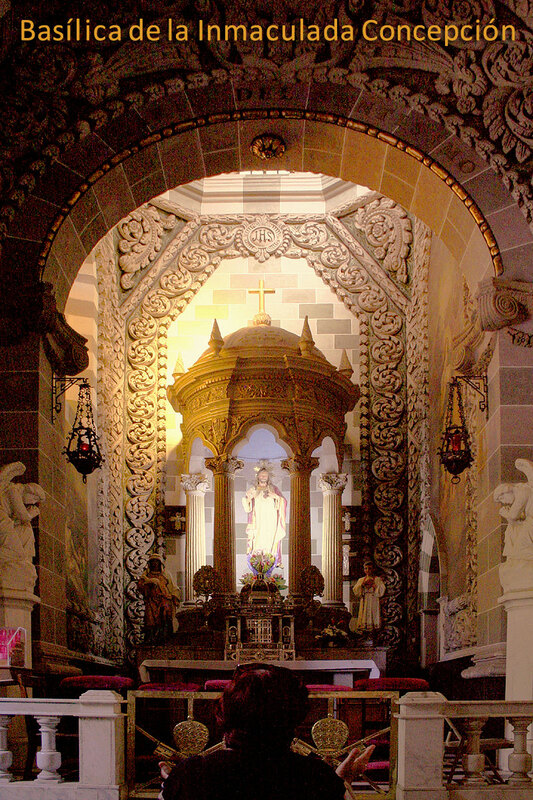 The Centro Historico contains most of the truly historic colonial-era and latter 1800s buildings in Mazatlan -- including our magnificent Basilica -- but the Centro Historico is far more than history. Within its maze of colonial-era streets entrepreneurs and homeowners have restored historic structures and created businesses that reflect Modern Mazatlan, opening restaurants, bars, cafés, art galleries that express the sensibilities of the countries of origin of their owners -- which is often not Mexico -- and that reflect a true international fusion of culture and artistic taste that is the Mazatlan Renaissance. While most of our tour companies offer guided Centro Historico excursions designed for cruise ship passengers, mazatlantoday.net knows that the Centro Historico can be experienced by the independent traveler. 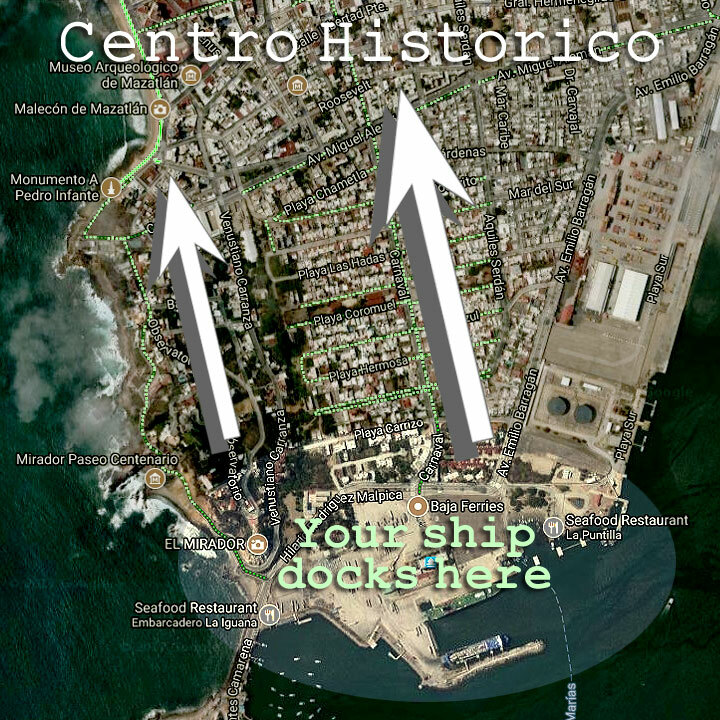 We have created a self-guided Centro Historico Walking Tour Map which can be downloaded below. 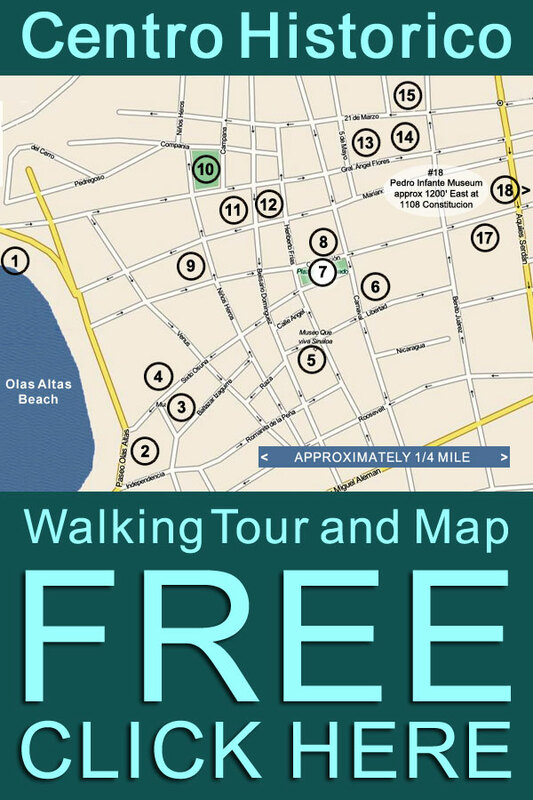 Download a free self-guided Centro Historico Walking Tour map with descriptions! 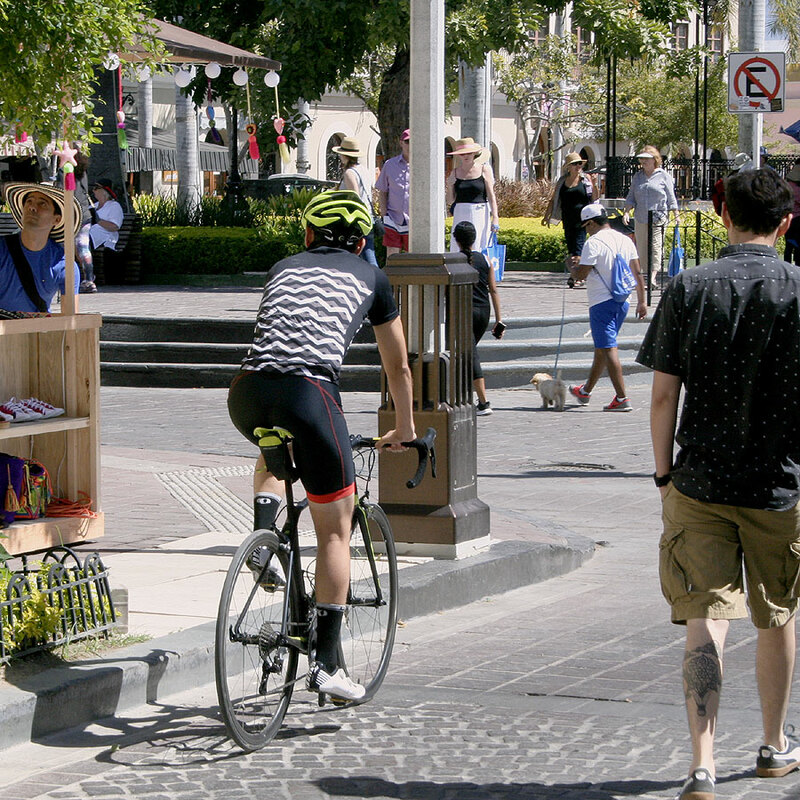 Note that the true heart of the Centro Historico is Plaza Machado, and it makes for a very good anchor for any shore excursion in the Centro Historico. Also note that the tour includes 20 locations so -- unless you walk very fast; very relentlessly; don't hang out long in any of the art galleries, ditto for the art museum and the archaeology museum; skip eating at any of the many delicious Centro Historico restaurants or having a refreshing beverage at any of the bars (which would be a big mistake on all points) -- you will have to pick and choose your Centro Historico destinations on your shore excursion! 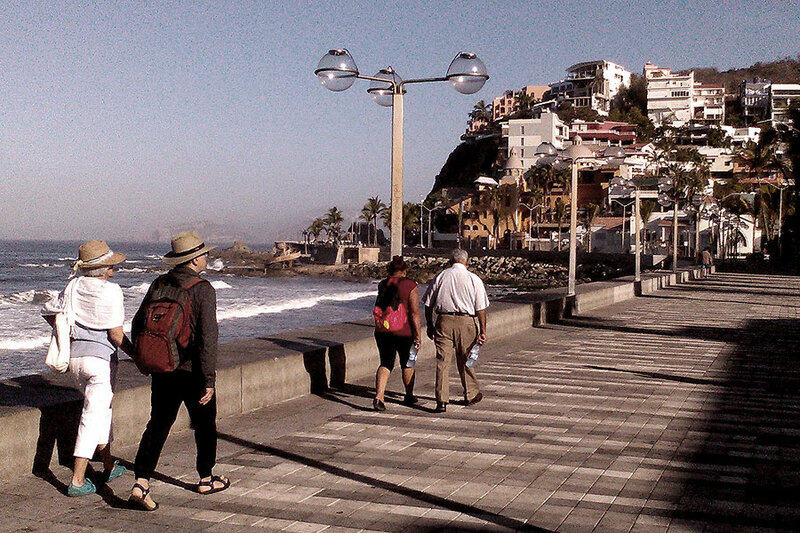 Hang out at the beach and walk the Malecon! While your cruise ship no-doubt has (several) lovely pools, there is nothing like sand underfoot and the tranquility of a really great beach. Cruise ship passengers on shore excursions in Mazatlan have their choice of literally tens of miles of magnificent beaches that have draw visitors from around the world for over half a century. 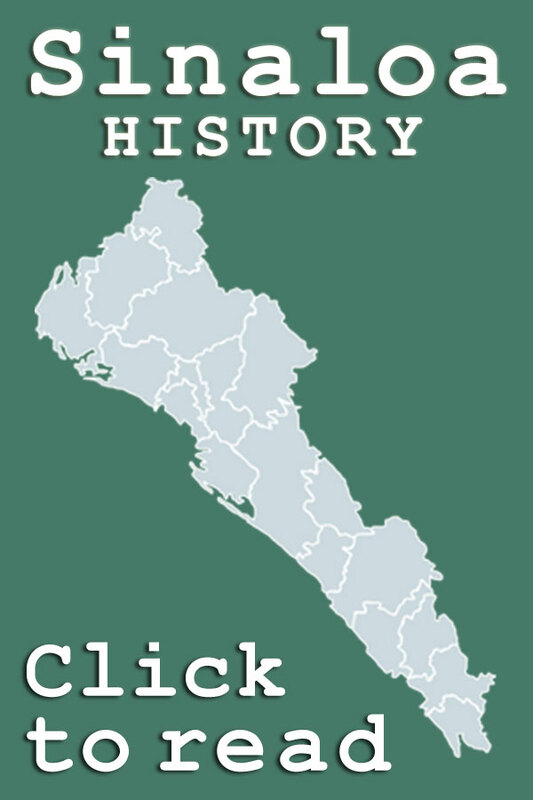 The closest beach to the cruise ship docks is Olas Altas Beach, which is the southern end of the chain of Mazatlan beaches, and marks the western edge of the Centro Historico. The Mazatlan Malecon -- the waterfront walkway / promenade / boardwalk -- stretches north along the beachfront for 13 miles, and beaches in Nuevo Mazatlan even further north, all the way to Playa Bruja! Cruise ship passengers have two basic ways to access the beaches in Mazatlan: take a taxi (or walk) from the cruise ship docks to Olas Altas Beach and proceed north on foot, or take a Pulmonia, taxi, auriga or bus north to a beach they've selected. 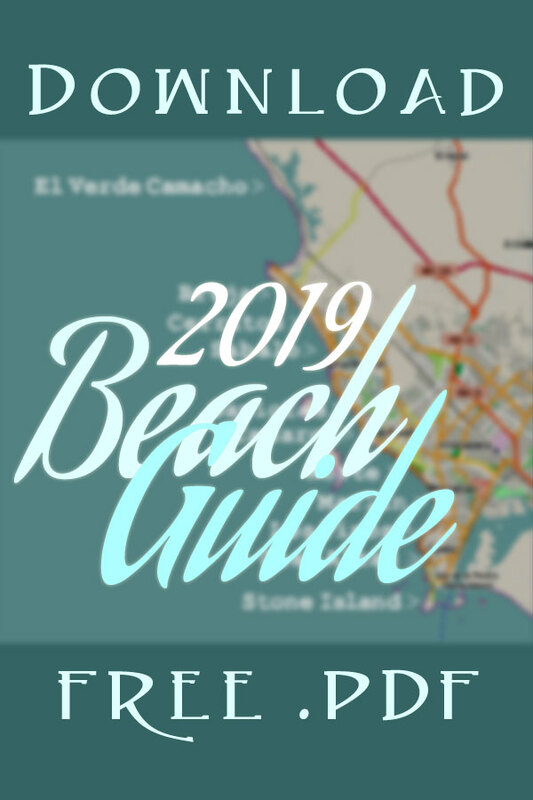 It is worth noting that the most classic beaches in Mazatlan form the western edge of the Golden Zone - Zona Dorada, and that the least developed beaches are at the northern edge of Nuevo Mazatlan. Any beach in Mazatlan -- even Playa Bruja -- can be reached from the cruise ship docks in under 30 minutes by taxi or Pulmonia, so your shore excursion can really be about being at the beach and in the ocean, not about fun shore-time being eaten up getting to them! Stone Island (Isla de la Piedra) has been a destination for Mazatlan cruise ship shore excursions for decades -- and for obvious reasons. On your right as your cruise ship enters Mazatlan's port, Stone Island is technically not an island -- it is a peninsula located just off the south end of the coast of Old Mazatlan that can be reached by land from the east. Stone Island (Isla de la Piedra) is most often accessed by cruise ship passengers via a panga (small boat) ride across the channel from the cruise ship docks. Stone Island definitely has a tropical island feel and, if you want to just kick back on your shore excursion, Stone Island is the place to do it! Stone Island is known throughout Mexico for its unspoiled, long sandy beaches -- Mexico's third largest coconut grove follows the length of the southern beach -- which seem to disappear as they stretch to the horizon. Because of the island's sheltered orientation, the beaches at Stone Island are usually calm, and the water often warmer than on Mazatlan's city beaches. Gentle waves at Isla de la Piedra make for refreshing easy swimming, and the beach is the perfect place among to take in the hot Mexican sun. 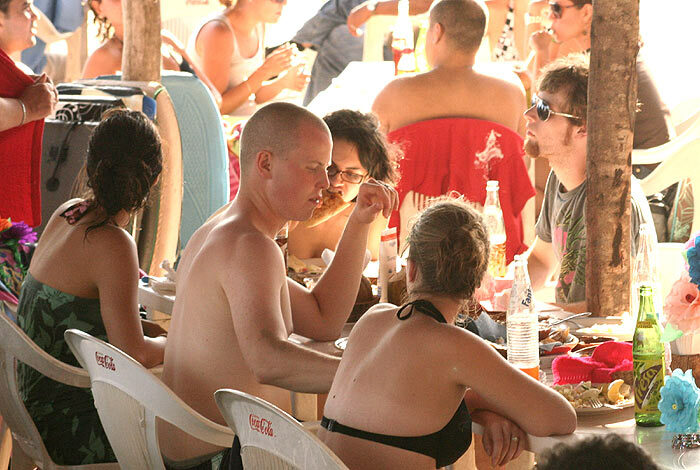 The first part of the Stone Island beach you encounter as you leave the panga docks is full of fun palapa restaurants. Many of these Stone Island restaurants and small businesses rent out ATVs, catamarans, banana boats, snorkeling equipment, and horses to cruise ship passengers on shore excursions. Showers and volleyball courts are sometimes available from other Stone Island businesses -- sometimes free of charge -- making self-guided shore excursions to Stone Island inexpensive and stress-free. 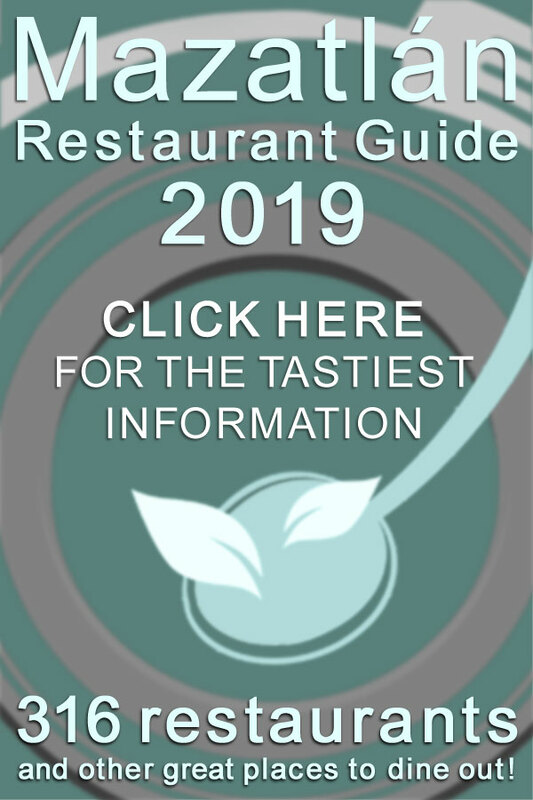 More information about spending your shore excursion on Stone Island -- including recommended restaurants and maps -- can be found by clicking here. 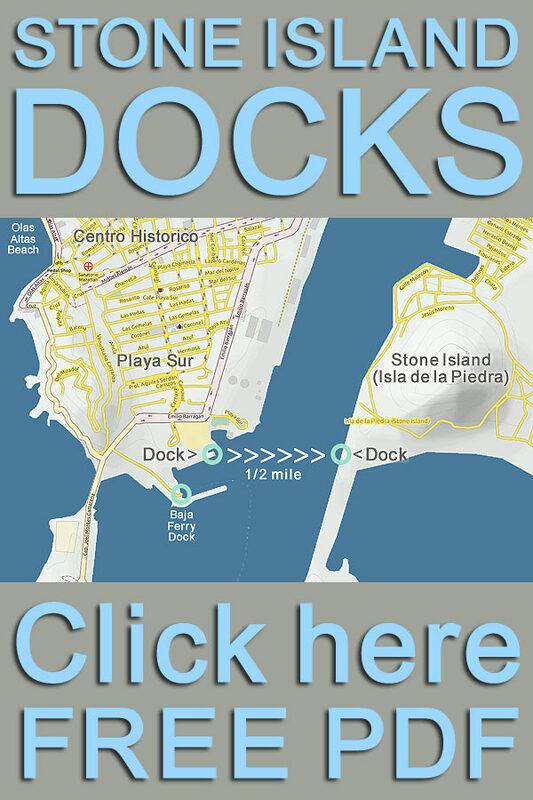 Video of a walk from the Mazatlan cruise ship docks to Stone Island! All cruise ship arrival dates are based upon published schedules of the seven cruise lines serving Mazatlan: Carnival, Disney, Holland America, Norwegian, Princess, Azamara Club Cruises and Phoenix Reisen. Cruise ships from all eight of these lines typically dock between 7am and 8am, and set sail between 5pm and 6pm -- giving cruise passengers a nice full day to enjoy an exciting shore excursion in Mazatlan! 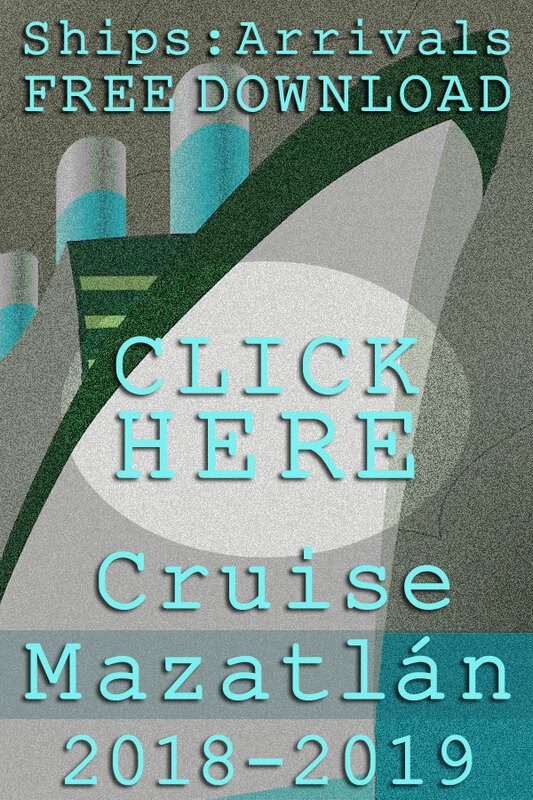 For additional detailed information about cruises to Mazatlan including booking and cabin prices, we suggest you contact the individual cruise lines directly through their websites or by phone! 2018-2019 Port of Mazatlan Mexico cruise ship arrival schedules, descriptions of ships and cruises, and the best recommended shore excursions and day tours for passengers in 2018 and 2019!